I have been a resident of the electorate of Bonner for over 30 years and have seen the tremendous growth and development of this most unique area of Brisbane. I am very proud to have been the first Member for Bonner from 2004-2007 and was returned to the seat in 2010-2013 and I am honoured to once again be representing this community. Prior to entering Parliament, I graduated from Griffith University with a Bachelor of Commerce and went on to gain extensive experience in the small business industry. I owned and managed a chain of highly successful restaurants – I have a passion for people and a practical understanding of small business. From this experience, I understand very well that excessive bureaucracy and red tape are not practical solutions to the challenges faced by business and society. My parliamentary duties include being part of a number of committees including; Joint Committee on Publications, Joint Standing Committee on the National Capital and External Territories, Joint Standing Committee on Migration and I am the Chair for the Standing Committee on Privileges and Members Interests. Furthermore, I am on the Speakers Panel for Chair Duty for the Main Chamber and Federation Chamber during Parliamentary Sitting weeks. In between these duties I also attend to my normal day to day Parliamentary duties of Chamber meetings and making speeches in Parliament on behalf of the Bonner community ensuring your voice is heard Canberra. I am a devoted dad to my two sons Zachary (2013) and Micah (2015). 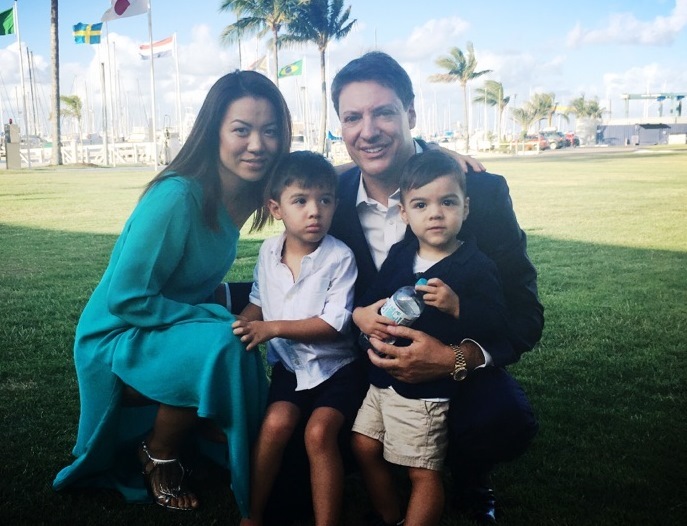 When my wife Fang and I were thinking about where we would like to raise our sons we couldn’t imagine a better place than right here in the wonderful community of Bonner. Standing up for the aspirations of all Queenslanders in the electorate of Bonner is a value that I learnt from my parents and grandparents who were active in working in our local community. From that perspective, I am committed to being part of a Coalition Government that demands fiscal restraint and responsibility. This is my firm commitment to the residents of Bonner in order to ensure that their experience, their values and their aspirations are represented in Canberra.